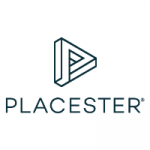 Placester is a website builder designed specifically for real estate agents and brokers. It provides users with professional websites that have functionalities to perform marketing automation, lead capturing, team management, and website analytics. We compiled Placester reviews from around the web and found that it has a mix of positive and negative ratings. We also shared its available subscription options. Want to know the top website builder for small business? Read our Placester alternatives guide. Users who recommended Placester said that they like the website interface that the program creates — as it makes it easy for their visitors to browse through properties. They also said that the app is easy to use. Users who gave Placester negative reviews said that lower priced plans have limited customization features and design flexibility. Placester has a free subscription option and two paid plans that can be billed monthly or annually. When billed monthly, the Agent Pro Plan costs $99 while the Broker Pro Plan costs $199. The main difference between the plans is the availability of premium features such as advanced property search, customizable templates, and number of webpages. Check out the list below of some of Placester’s website features. Best Website Builder 2017: Weebly vs. Wix vs. WordPress — In this guide, we are going to show you why we chose Weebly, Wix, and WordPress as our top website builder apps. The main areas that we focused on are price, ease of use, functionality, and customer service. Real Estate Landing Pages in 2018: The Ultimate Guide with Examples — This guide will help you learn the basics of building, designing, and optimizing landing pages that convert visitors to leads. It also includes the four types of landing pages every Realtor needs to master for 2018, real world examples and templates, and the best software and tools available to build and track landing pages. Top 47 Real Estate Lead Generation Ideas from the Pros — In this guide, we’ll share 47 real estate lead generation ideas from real estate pros to help you narrow down the options and ensure your hard earned marketing dollars get an unbeatable ROI. How to Make a Small Business Website in 5 Simple Steps — Not having a website means you’re losing out on potential customers. Follow our 5 simple steps in this guide to have your small business website up and running in no time. This video provides an overview on how realtors can utilize Placester to create their own website and grow their real estate business. When choosing a website builder, it’s important that the software integrates with other applications your business is currently using. Here is a list of some of Placester’s popular integrations. Not sure if Placester is the right fit for you? Read our website builder comparison guide. They provide well constructed websites for real estate marketing. They are very easy to set up. Working with multiple agents in our office set up for each site and within a few minutes we had the IDX up and running. It was very smooth. I have been very happy with the customer service when I have had to contact them. They have had knowledgeable staff that is happy to help and follow up with you. I am happy over all. You are somewhat restricted in the layouts available. I can’t think of anything. The questions that I had before purchase where answered very well by there support team. I’ve been a Placester customer for over 3 years and I’m quite happy. They provide a platform that’s easy to use and easy on the eyes for visitors. What I really love about the company is the ease of creating a new page or blog post along with the fact that I can create as many as I would like. To date, I’ve created nearly 1,000 pages. We can easily categorize our blog posts which can be helpful to readers. They also make it easy for us to title our pictures and create meta titles and descriptions for our articles which is helpful for Google juice. Overall they do just fine. A few months ago they made a change that altered many of the pages I created but they fixed the issue eventually. I disagree with some of the other negative posts about customer service. Over the last 3 years I would have an issue from time to time but customer service was quick to fix my problems. The only thing that I wish they would do is to add more criteria for searching properties that correspond with the data from our MLS (for example, water front properties). I was with the company for over a year on the cheapest plan and really had no idea what other plans were available. I’m sure Placester sent me emails about upgrading but I was never clear on what they had to fully offer. Now I do though. Every real estate website company will have fees and more fees to connect with properties from your MLS. Placester fees are reasonable. As I mentioned earlier, you’re given the platform and the ball is in your court to do something with it. Today I have over 300 Placester pages showing up on the first page of Google. I’m pretty happy. It provides an easy-to-use platform for real estate agents who are not web-savvy and can’t afford a professional web developer. A nice selection of templates is provided as well. Please note: I built the site for a client – https://www.remaxteamonenc.com/ – they have since changed the format. I removed my administrative access at the end of our contract. Screenshot shows the site as it is now and the Placester mark. The interface is difficult to understand and it was very hard to get it linked to the local MLS. The template also did not provide flexibility to customize the navigation menus, how the MLS is displayed. The “leads” function is misleading; it is much like WordPress allowing comments rather than producing an actual lead. I would have done more researching exactly how the platform worked and what the templates offered so I could manage my clients’ expectations. Their websites are very easy to setup very quickly, with a user-friendly dashboard. The basic templates are clean and attractive. Pricing is very affordable, with plans for NAR members starting at $5/month. Although the basic template look very nice, there are few customization options – a few color schemes and font choices only. I would have liked the ability include custom CSS styles, or to reorder the sidebar widgets. Many of the CRM and lead management tools in the dashboard are nothing more than a prompt to upgrade to one of the premium plans.